ONI Bureau: The inevitable has finally happened. Kendrapara MP Baijayant ‘Jay’ Panda, who was suspended from BJD in January 2018 on flimsy grounds, has decided to quit. Although there have been speculations about his possible departure from the party over the last few months, the immediate provocation was the snub his father late Dr. Bansidhar Panda got from Naveen Patnaik as well as BJD leaders. Naveen and BJD leaders drew flak from all quarters for not turning up to pay their last respects to late Bansidhar Panda. Dr. Panda, who left his career as a Scientist to set up an industry in Odisha, responding to the call of late Biju Patnaik, definitely deserved much better treatment. People cutting across political lines, rushed to pay homage to the departed soul. But, neither Naveen nor his party leaders rose to the occasion. Well, Baijayant had to take a decision. It was claimed that both BJP and Congress were interested in him. But, probably he believed till the last minute that there would be some reconciliation and Naveen would understand him. But, as his humiliation as well as harassment continued unabated, he had to say,’enough is enough’. What’s next for Baijayant Panda? Where he would go? Will he join BJP? Will Congress take him? There is no word yet. But, if we analyse the political situation carefully, it would be BJP, which would be largely benefitted from the knowledge and experience of Jay Panda with the Congress fighting for its survival in Odisha. Even though the central leaders of BJP have not yet taken on Naveen Patnaik & BJD in a strong manner, the Odisha BJP wants to go on an offensive to counter the “invincibility” of Naveen, who has been ruling the State for 18 years. Modi-Shah have already made their intentions clear that focus will be on Eastern region of India in the run up to 2019 polls. BJP needs leaders like Baijayant Panda, who understands BJD’s pulse better than anyone in the party. He enjoys the reputation of being an intelligent and mature leader who is accessible to public. Notwithstanding questions surrounding his family business, he remains popular even among his critics for being articulate on various topics. He is considered as one of the few leaders in Odisha, who have a vision to bring changes, but lacks organisational support. Jay Panda could be an integral part of PM Modi’s vision of New India. If BJP continues to delay Jay Panda’s induction, it won’t be in the larger interest of the party. It needs a ‘BJD stalwart’ to counter the “Naveen Magic” in Odisha. BJP, which won just one Lok Sabha seat in the state in 2014, now eyes more than a dozen, which won’t be possible without taking BJD workers and leaders into party fold. That will not only increase NDA’s tally without being dependent on BJD, but also would help Modi-Shah maintain a strong grip on Odisha. We all know that anti-incumbency factor has not been successful in Odisha, as the Opposition failed to project an alternative to Naveen in the past. 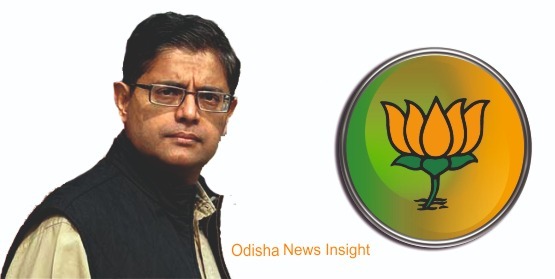 If a familiar and popular face like Jay Panda emerges within the BJP, the fence sitters as well as the traditional BJD voters may want to switch sides. Only critics believe Jay Panda is not a mass leader. They are sceptical about his acceptability among the common people. But, if we hit the ground and ask people about their opinion, majority see him as a pan-Odisha leader who has the vision and determination to bring changes to the state. The ball is in BJP’s court now. They are in a better position to get Jay Panda and use his services to overthrow Naveen Patnaik. Even the staunch BJP supporters are seen openly batting for Baijayant Panda. But, eventually, it’s for the central leaders to take the call. And, it should be in the larger interests of the party and the State.